Click here to read the full article at Philly.com. If you’ve been following our blog, you will know that we recently won a major case against State Farm. 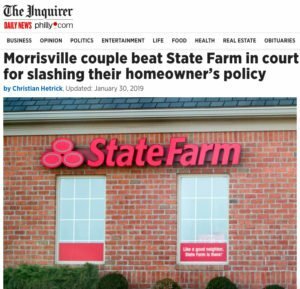 In this case, State Farm was accused of misleading their clients by adding language to the policy which, according to the insurers, would not reduce their coverage of the client. However, not only did this language significantly reduce their coverage, but when the client was faced with a major loss in their home due to a leaking pipe, State Farm claimed that the new language meant they did have to cover the cost of accessing the pipe in order to stop the leak. The Court agreed that this was deceitful, and ordered that State Farm not only reimburse the client in full for the damages, but also demanded that State Farm pay damages consistent with the client’s Attorney’s Fees, as State Farm was found to have acted in Bad Faith. This case was a major win for our client and for Wheeler, DiUlio, & Barnabei, but an even greater one for homeowners being lied to and deceived by their insurance providers, all in the name of saving a buck. The Philadelphia Inquirer caught word of this case, and featured our win in a recent publication on Philly.com. Right now, Wheeler, DiUlio, & Barnabei is reviewing the national implications of this matter, as calls from as far away as California have been flooding in with reports of similar struggles with State Farm. 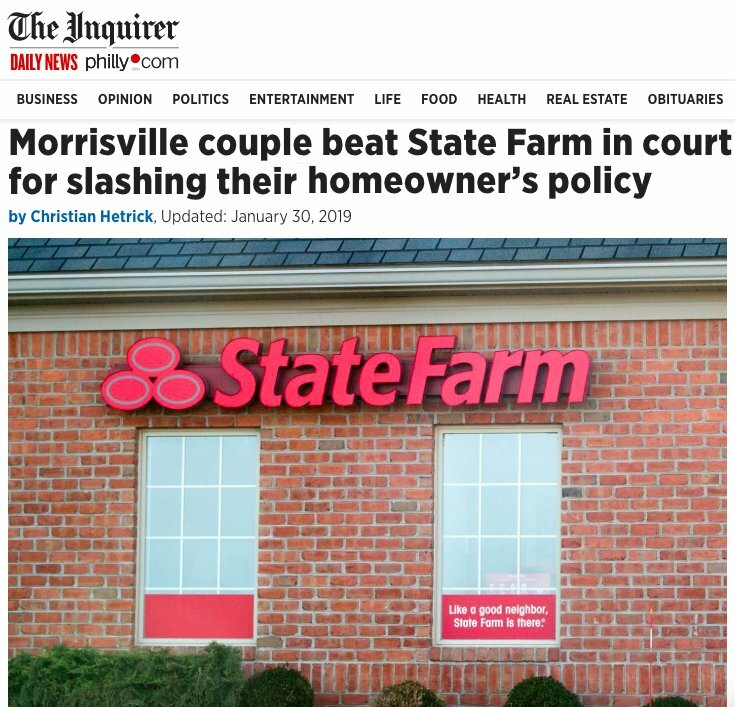 While a Pennsylvania class action lawsuit was unsuccessful, this matter is far from over, and we will continue to fight until State Farm finally agrees to do what is right for their clients. Have you been denied by State Farm? Contact Wheeler, DiUlio, & Barnabei to have an attorney review your policy for free.